A METER could be all it takes to save someone's life. That's the reasoning behind the recent replacement of around 15km of centre lines north and south of Gympie on the Bruce Hwy. The centre lines, spaced 1m apart to enhance the distance between opposing traffic, have replaced the original narrow centre line spacing. The newly spaced division is also raised at intervals to provide extra warning to drivers if they are travelling too close to the centre. 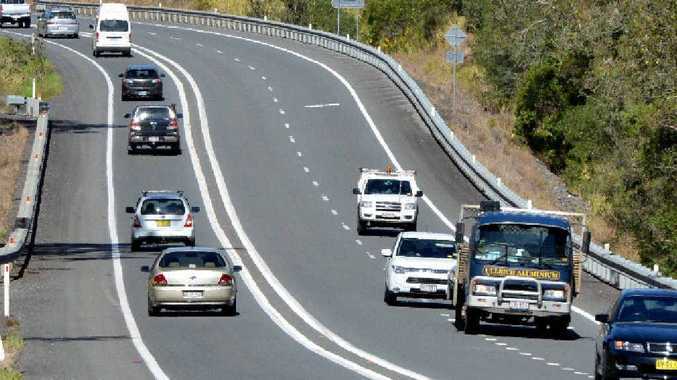 Member for Gympie David Gibson said further centre line expansions are also set to take place to increase driver safety in the Wide Bay Burnett region. 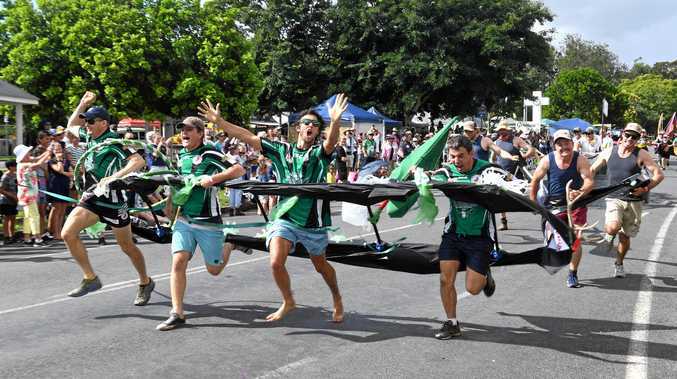 "The Wide Bay Burnett recently received additional state government funding to implement the treatment on other sections of the highway (about 45km) between Gympie and north of Gin Gin," he said. He said investigations were underway to identify additional locations in the region that would benefit from the centre line treatment. Mr Gibson said locations for the treatment are yet to be decided upon but the treatment was expected to be implemented by this time next year. While the centre line appears different to the usual unbroken double white lines, drivers needed to aware that the same rules applied. "Motorists must remember it is illegal to overtake or do U-turns across any continuous dividing line, including a continuous line to the left of a broken line," he said. DRIVERS are not permitted to cross the metre-wide median strip at all, in line with rules governing a double continuous centre line. However motorists can cross a single continuous centre line to enter or leave a road, including a property but not to overtake or do a U-turn. For more information about the road rules governing centre lines go to the website and searching for "lines".